Søren Heibergs notater om Rasmus Malling-Hansen i 1859 og 1861. 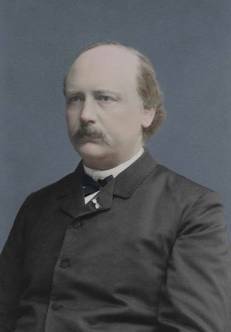 Rasmus Malling-Hansen - photo from 1885. Private collection. 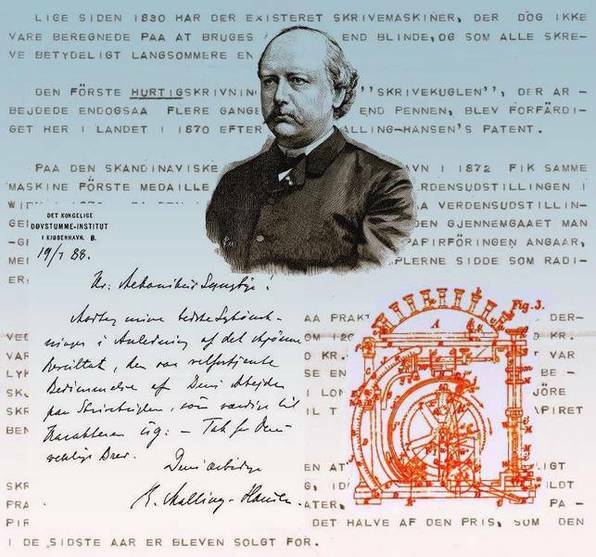 Rasmus Malling-Hansen, 1835-1890, Danish inventor, minister and principal at the Royal Institute for the Deaf-mutes, and one of the true pioneers of the 19th century. He possessed a great urge to bring forward new ideas and new inventions and to reveal the secrets of the unknown connections in nature. Nothing was too small to arise the interest of Malling-Hansen, and in even the smallest things he saw a potentially meaningful detail. This lead him to be one of Denmark's most colourful inventors, a farsighted educational reformer and the discoverer of an unknown factor that affects all growth in nature. 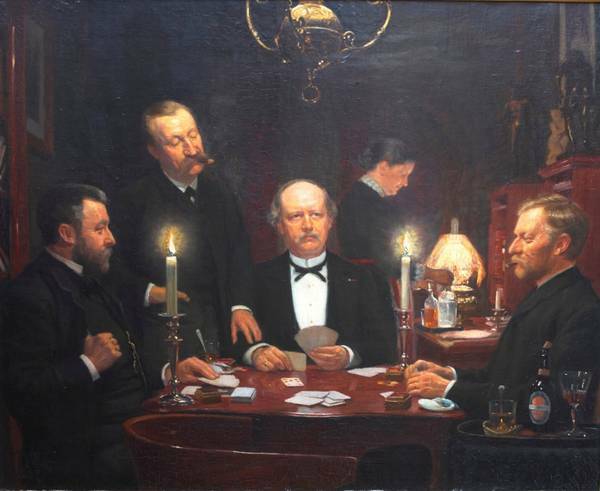 On this painting, made by the Danish painter Malthe Engelstedt, Rasmus Malling-Hansen is seen in the home of his good friend, Erik Ritzau, founder of Ritzaus Bureau, the first news service in Denmark. The painting was displayed on the Great Art and Industrial exhibition in Copenhagen in 1888. The four men are playing l'Hombre, and the woman in the background is Ritzau's wife, Anna. Erik Ritzau is seated to the left, and to the right, Johannes Kaper, headmaster. The man beside Malling-Hansen, to the left, is captain Gustav Feilberg. 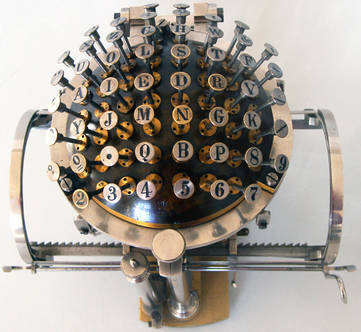 On the same exhibition the mechanic Lyngbye, who was now in charge of the development of the writing ball, had seven writing balls on display, showing the development from the first model from 1870, up to the latest model, for which Lyngbye received the first prize medal on the exhibition.